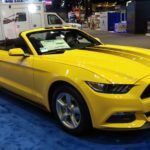 CHICAGO â€“ The 2017 Chicago Auto Show was officially underway February 11 for the public through Monday, Feb. 20.. The 109th edition of the largest automotive exhibition in North America was held, as always, at McCormick Place. Illinois Governor Bruce Rauner, Chicago Mayor Rahm Emanuel, Illinois Secretary of State Jesse White and Cook County Board President Toni Preckwinkle joined 2017 Chicago Auto Show Chairman Mike McGrath and General Manager Dave Sloan on stage to cut the ribbon to open the show. The auto show plays an important role in the City of Chicago. And Ford still operates its Explorer plant at Torrance Avenue in the city. For the first time in its history, The Midwest Automotive Media Association (MAMA) appointed its first FEMALE president, Jill Ciminella. Jill opened the MAMA sponsored breakfast on Thursday February 9 to welcome all media. 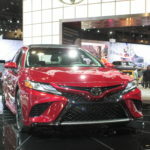 Following the MAMA Breakfast, the Media previewed several vehicle introductions from the automotive manufacturers Toyota, Hyundai, Nissan, Dodge, Ford, Mitsubishi, Chrysler, Chevrolet and Mopar. The media also previewed a new event: The Concept & Technology Event, an opportunity to get a look at many of the concepts, brand-new vehicles and innovative technologies that will be on display at the Chicago Auto Show. The Economic Club of Chicago (ECC) Luncheon, a cornerstone event of the Media Preview, presented speaker General Motors President Dan Ammann. On Day 2 of the Chicago Auto Show media preview, Mopar, the service, parts and customer care brand of FCA US LLC, continued its 80th anniversary celebration with a media breakfast and exclusive vehicle reveal led by Pietro Gorlier, Head of Parts and Service (Mopar), FCA – Global. In addition, Fifth Third Bank hosted a special financial literacy program for more than 250 Chicago area students. Following, the National Road Safety Foundation presented the Drive Safe Chicago award to a local student who garnered the most votes for his or her distracted driving public service announcement. And finally, Word of Mouth Marketing Association for the fifth consecutive year hosted the Driving Engagement Award ceremony to recognize an automotive manufacturer with the most engaging social media campaign of the year. As always, the Chicago Auto Show gala took place on Feb. 10. Eighteen Chicago-area charities benefited from more than $2.5 million raised at the black-tie gala. Now in its 26th year, First Look for Charity has become one of Chicagoâ€™s most anticipated charitable events. More than 10,000 attendees were in attendance, treated to hors dâ€™oeuvres, champagne, wine, beer and soft drinks. All in attendance had a chance to win a 2017 Lexus NX or a 201 Acura TLX. This yearâ€™s 109th Chicago Auto Show was a huge success. We hope you didn’t miss it. Refined for 2017, the Mazda6 midsize sedan gets a few interior tweaks, a significant upgrade in its safety technology and improvements in driving dynamics and comfort. 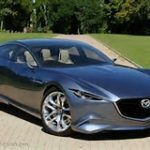 This yearâ€™s trim levels include the Sport ($21,945 M, $22995, A), Touring ($24,195 M, $25,245 A), and Grand Touring ($30,695), and for those who want to hike it up a notch, Mazda offers a new top-level Grand Touring Premium Package that comes with some of the features of the redesigned 2016 CX-9 SUVâ€™s Signature trim level. Redesigned in 2014, the Mazda6 has increased in popularity. In 2016, the 6 received a few minor tweaks, and for 2017, the side mirrors have been slightly restyled. Sporty and stylish, the Mazda6 offers a lot for the money. Our test car came in the newly offered Machine Gray Metallic, first seen on the CX-9. The Mazda6 among many goodies, offers sleek exterior styling, higher safety ratings, handling like a performance sedan and added safety technology. Our Mazda6 had a tendency to pull somewhat to the left; we couldnâ€™t determine whether this was due to a low tire or perhaps the lane departure equipment. This yearâ€™s overall design isnâ€™t changed for 2017, but materials have been upgraded noticeably and some features added. The steering wheel design is new (also seen on the CX-9), and the Grand Touring Premium Package adds Nappa leather seats in black or off-white with piping to contrast. Sharp. In addition, new satin-finish metal trim has been added (much like the Nissan Maxima trim). One can expect a heated steering wheel and rear seats in the premium edition. Refinement and upgrades to all Mazda6 models have been added, including a weather strip with molded shape. Drivers will notice the added headliner noise absorption material, as the cabin is much quieter. Mazda has also changed the thickness of the front door glass, as well as adding noise-absorption material under the body. 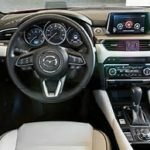 Improvements in door seals has also made the 2017 Mazda6 competitive. It also lends a more solid feel to the sedan. Competition in this category includes such cars as Ford Fusion, Hundai Sonata, Subaru Legacy, Honda Accord and VW Passat. Front driver B-pillars have been restyled with the garnish gap decreased. This makes for better visibility. Other updates to safety include the Advanced Blind Spot Monitoring Distance Recognition, new Lane-keep Assist, and heads-up monitor, as well as Traffic-sign recognition. Mazdaâ€™s clever Active Driving Display (or Heads Up in the past) uses a clear reflective screen that pops up from the top of the dash. It has been upgraded to full-color with higher brightness for 2017. The optional seat memory now also stores this display’s angle, brightness and content settings. The 184-hp, naturally aspirated 2.5-liter four-cylinder SkyActiv-G engine is the same as last year, and is teamed with the six-speed automatic or manual transmission. New G-Vectoring Control software enhances chassis performance through use of small amounts of engine torque in response to steering wheel input. This shifts the load to the front or rear, increasing grip and stability, improving ride control and limiting understeer. According to Mazda, this system also helps the driver to better maintain the intended line in any situation. Driving in rain, snow or slippery conditions is also improved through sharper handling and stability. As with all Mazda products, the 2017 Mazda6 has an extensive list of active safety technologies. The i-ActivSense system gets new functions for 2017, and as in years past, the Mazda6 is again an Insurance Institute for Highway Safety Top Safety Pick Plus; ratings of â€˜goodâ€™ in crash tests, and a â€˜superiorâ€™ score for optional crash prevention technology. A new Forward Sensing Camera has been combined with the milliwave radar-based system, adding pedestrian detection to the front collision avoidance system with automatic emergency braking. Also new is a Traffic Sign Recognition system that can identify the speed limit, no-entry and stop signs, and alert the driver. Pretty amazing. Thereâ€™s a lot to like in the new 2017 Mazda6For 2017, but as with all vehicles we test drive, we find a few minor annoyances. Weâ€™d like to see the Mazda6 with a more powerful engine. Are they thinking turbo in the future? The multimedia system seems a tad dated and bulky, and when driving the touch-screen is disabled. One of our favorites in the Kia lineup, the Soul is a boxy compact hatchback? SUV? Station wagon? The Soul has been categorized in various ways, and has room for five people. Front-wheel-drive, with a choice of three four-cylinder engines, the Soul remains a very popular choice among all age groups. Competitors abound, including the Mini Countryman, Mitsubishi Outlander Sport, the VW GTI, Ford Fiesta, Focus ST, Hyundai Veloster Turbo, Mazda CX-3 and Fiat 500X. All appealing in their own way, but none as â€˜unusualâ€™ as the Soul. And can anyone match the Soul ads? Doubtful. Our test Soul, the top-of-the-line Exclaim (!) trim level, comes equipped with a new 201-horsepower, turbocharged 1.6-liter four-cylinder that works with a seven-speed dual-clutch transmission. Along with the Soulâ€™s new drivetrain are 18-inch alloy wheels, power-adjustable front passenger seat, automatic a/c, push-button start, larger front brakes, two USB charge ports and a leather-wrapped square bottom steering wheel. Standard features on the 2017 Soul include six-speed manual transmission, FWD, A/C, front bucket seats and 60/40 split-folding back seat, power windows/locks/side mirrors, Bluetooth. Also standard-and required equipment includes front airbags, ABS, and electronic stability system. Soul offers several available features, as well, including the turbocharged, 1.6-liter 4-cylinder that came in our test model. Seven-speed dual-clutch automatic transmission (on the ! model), and Panoramic moonroof are also available. Heated front seats and ventilated seats, if you must; along with a Navigation system with 8-inch screen. Our Exclaim had the backup camera, keyless entry and push-button start. Also available are Forward Collision Warning, blind spot warning system with rear cross-traffic alert and lane departure warning system. One doesnâ€™t want for much. With the available features, of course, comes a higher cost. Our test Exclaim, with just one option: carpeted floor mats, $120, had a total vehicle price of $23,620. Still reasonable, considering todayâ€™s average price of a vehicle at over $34,000. Although we liked the performance of the Turbo engine, we dread the pause when navigating corners or picking up from a light. The pause gets somewhat better when driving the vehicle for a while, but with many turbo engines, this is an annoying feature. The transmission could be a little jerky at times, and we noticed a rattle in the rear seating area. The interior quality and many upscale features in the 2017 Kia Soul Exclaim were noticeable. Since it first entered the market in 2010, the Soul has gotten better and better. The ride is noticeably better; smoother and more solid. The added weight helps this. The way the Soul is designed makes for good visibility. If youâ€™re looking for all-wheel-drive, the Soul will let you down; although itâ€™s assumed people choose certain cars for certain reasons. The Soul is an affordable, fun-to-drive vehicle; not a SUV. Attractive, particularly, to value-minded shoppers. The Turbo version is easily recognizable with a red exterior accent line, a flat-bottomed steering wheel and 18-inch wheels. The car looks a little racier, with a boxy, almost athletic stance. The 1.6-liter Turbocharged inline four offers 201 horsepower and 195 lb.-ft. torque. Pretty good pickup for a little hatchback. 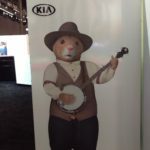 Kia doesnâ€™t pretend to believe the Soul is a sport compact. The best seller in its category, it is a small crossover, and remains popular for what it is. Kia says buyers are asking for more power and all-wheel-drive; perhaps they have visions of taking the Soul off-road since it easily accommodates gear, bikes and the like. The Turbo engine is standard on the Exclaim version, satisfying some. 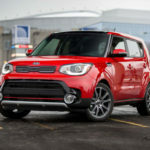 According to Kia, the suspension on the Turbo version is the same as the others in the lineup, however, the springs and dampers are tuned slightly differently. The Exclaimâ€™s 18-inch all-season tires are the same as those on the Soul Plus (+), however, the front brake rotors on the Exclaim are somewhat larger (12.0-inch diameter). By the same token, Kia didnâ€™t include Paddle shifters on the Turbo version; no loss, as far as this writer is concerned. Again, one can get the Paddle shifters on other, more sportier vehicles out there. We liked driving in the Sport mode, as it added a feeling of performance. Shifting seemed more responsive, and lag a little less likely. You canâ€™t beat the space inside the Soul, due mostly to its squared-off styling. Interior space, an airy and spacious cabin, and good visibility all around make this a great car to drive in traffic. Headroom is more than sufficient and when folding the rear seating, youâ€™ve got space for any manner of items. We always welcome the Kia Soul in the fleet. One of our favorites, the Soul is a welcome addition to any stable. Pricing is also very fair, starting at $23,500 ($1,350 increase over last year) for the Soul Turbo !. buyers can expect plenty of standard features, and new technology such as Anroid Auto/Apple CarPlay. If you choose to load it up with a moonroof, Nav, blind-spot detection, and a high-end Harman/Kardon audio system, youâ€™ll come in around $27,620. Pricing ranges from $16,100-$22,800, with three trim levels available. Fuel Tank Capacity: 14.2 gal. Chicago, IL â€“ While Toyota presents new vehicles at the 2017 Chicago Auto Show, it is also donating $15,000 to The Salvation Army Metropolitan Division/Greater Chicagoland, to provide support for families in crisis. Through its â€œToyota Walk In My Bootsâ€ community outreach project to help Chicago area homeless families, new winter boots and socks will be given to residents of The Salvation Army Evangeline Booth Lodge, a homeless haven for families in Chicago, located on 800 W. Lawrence.